“Let’s celebrate, deservedly so, but let’s focus on ratcheting our game up to have a more profound impact and provide a place that is healthy and vibrant for those Americans who are yet to come and are depending on us for our leadership,” said Leonard Jordan, acting chief of the Natural Resources Conservation Service, during the opening plenary of Rally 2018: The National Land Conservation Conference, held in Pittsburgh on October 11 -13. 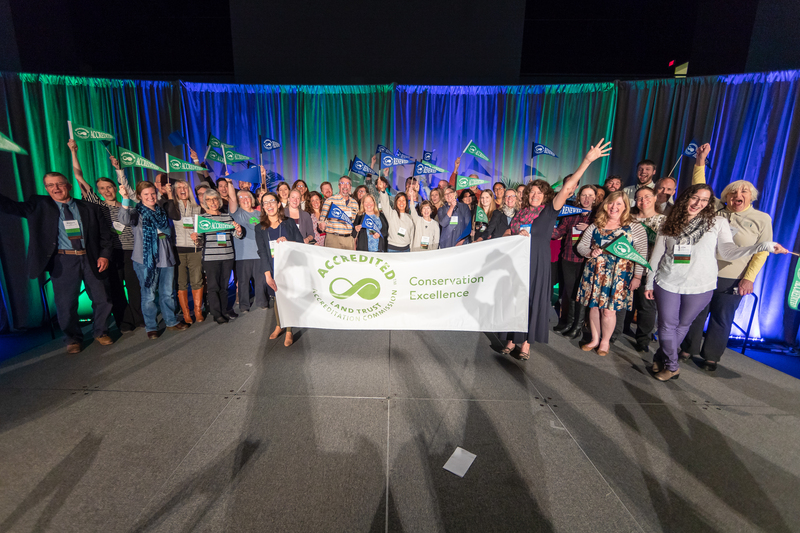 Rally 2018 featured a variety of speakers, including Jordan, who was there to celebrate 25 years of conservation easements at the Natural Resources Conservation Service and its long partnership with the Land Trust Alliance. Other speakers included Andrew Bowman, president of the Alliance, closing plenary speaker Grant Oliphant, president of the Heinz Endowments and Alliance Chair Jamey French. Watch video: Michael Whitfield, a land conservation champion, and recipient of the Land Trust Alliance’s Kingsbury Browne Conservation Leadership Award & Lincoln Institute of Land Policy Fellowship. Watch video: Shirley Heinze Land Trust (accredited) recipient of the Land Trust Alliance’s National Land Trust Excellence Award (for staffed land trusts). Their work covers six counties in northwestern Indiana, helps large populations of the under-served and conserves a vast spectrum of biodiversity. Watch video: Newtown Forest Association, recipient of the Land Trust Alliance’s National Land Trust Excellence Award (for all-volunteer land trusts). The steadfast dedication of the land trust's board and other volunteers to preserving forests, agricultural lands, nature preserves, watersheds and other open-space lands in Connecticut is a testament to their contribution to the land trust movement. Watch video: In 2018, we celebrate 25 years of conservation easements at the Natural Resources Conservation Service and its long partnership with the Land Trust Alliance. Read blog: Andy Bicking, recipient of the Land Trust Alliance’s Ambassador Award and director of public policy at Scenic Hudson in Poughkeepsie, New York. As a highly effective advocate at the federal, state and local levels on a broad range of land conservation and environmental issues, Andy is a first-rate advocate. Visit the Rally website for presentations, handouts and resources. Materials we have received from Rally faculty are available under individual sessions (click “View Session Details”), accessible via the full schedule online. Join us for Rally 2019 in Raleigh, North Carolina, October 17-19.